The Komets fought hard to get to game seven in this series. I have been following this particular series from the beginning. It was tough knowing that the Komets lost the first two games on their home ice; however, the team has had a great road game record during the regular season. They won the next two games away on Missouri ice, making the series tied at two. They lost game five in Missouri, but came home and won in “the jungle” (Allen County War Memorial Coliseum), forcing game seven that happened tonight. 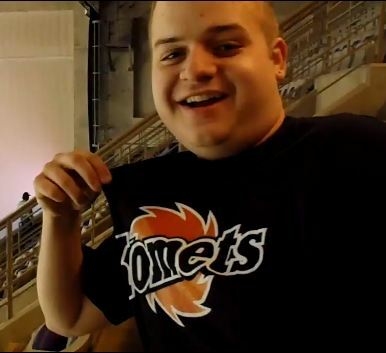 Me wearing my Komets gear! 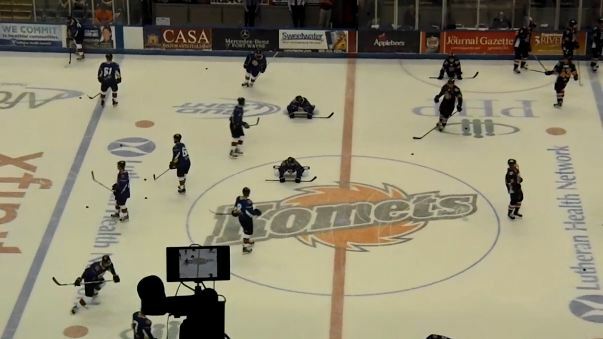 The Komets stretching and warming up.